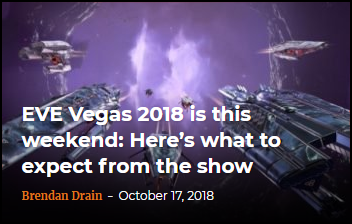 MOP’s Brendan Drain is on the ground at EVE Vegas this year, and we’re expecting all the best coverage from him because he’s Brendan and that’s just what he does every year. But those of you who can’t make it to Vegas this year might want to at least stream the keynote, which CCP is putting on Twitch. The show itself kicks off at 4:30 p.m. EDT today; watch below!